Do you ever have a few bananas on your counter that need to get eaten ASAP? That happens too often for me, and I don’t always want to turn them into bread. 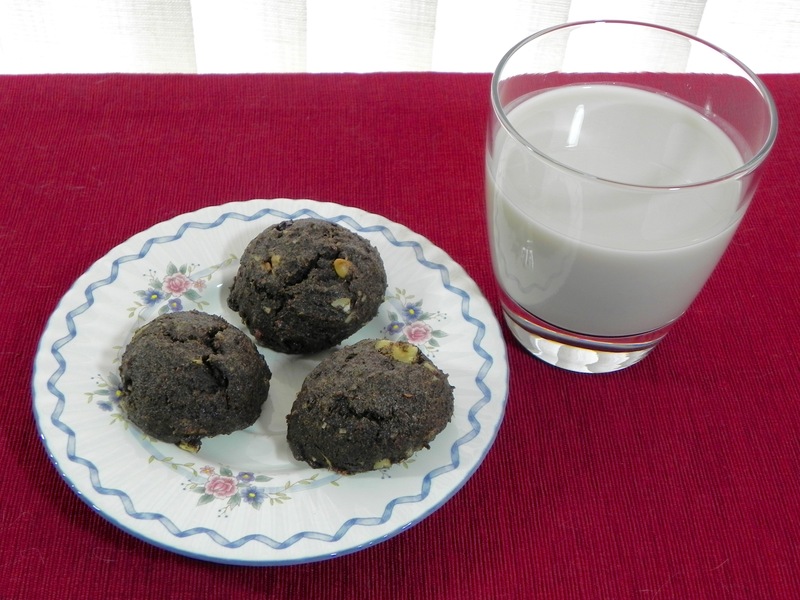 I was searching for a recipe to use up my browning produce when I came across these breakfast cookies. To polish off the bananas and have cookies for breakfast was a winning situation in my book. For the dryness at altitude, I not only added milk to the recipe but also used less protein powder. To fend off the oiliness that can happen at altitude, I used less oil. I made a few other minor tweaks, the most notable being the use of einkorn flour instead of gluten-free flour. Einkorn is an ancient wheat that is often tolerated by those avoiding gluten and can sometimes be used instead of a gluten-free blend. And, if you don’t consume gluten, you’ll be happy to know that although buckwheat sounds as if it contains gluten, it is actually gluten-free. Preheat oven to 350F. Line baking sheets with parchment paper. In a large bowl, combine mashed banana and flaxseeds and let sit a few minutes. Then add oil, sugar, almond milk and vanilla and mix well. In another bowl, whisk together the flours, protein powder, cinnamon, nutmeg, baking soda and salt. Stir dry ingredients into wet. Before dough is completely moistened, add nuts and dried fruit. Stir just enough to moisten everything. Scoop up dough and drop onto cookie sheets. Bake 11-13 minutes. Cool on baking sheets for 5 minutes, then transfer to a wire rack to cool completely. Store in a loosely covered container. This entry was posted in cookies, dairy free, egg free, gluten-free, recipe, refined sugar free, vegan and tagged baking, banana, breakfast, einkorn, high altitude, protein powder. Thank you. They are a really good and fast breakfast.